Wash n Go Update! | Natural Hair Rules!!! 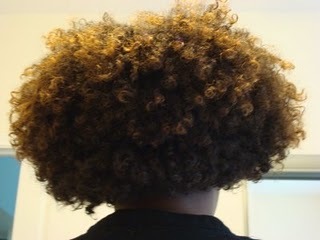 This is the wash n go after my press. I was so scared because my hair didn’t curl immediately under the water. But it turn out ok.
your hair looks so healthy and beautiful! Your hair is beautiful and your advice is great. Just did b/c four weeks ago, my last relaxer was July 2008. My problem is dry hair. I have tried all types of products, but I have found that a fresh wash and fresh products in my hair leaves it looking much better. Is there a such thing of washing hair too much. I live in Memphis, TN and right now it is cold out and the weather is leaving it very dry. I have tight 4b coils and by the middle of the day they are dry. I have tried different products even the Cantu leave in conditioner. I use shea butter and have a little Miss Jessies buttercreme. I am also trying to find some hairstyles to help get me thtough the week. I am at my wits end hope you have some advice for me.